Welcome to the subject homepage for NC in Building Services Engineering. The NC in Building Services Engineering at SCQF level 6 has been designed to give candidates a broad appreciation of topics and services used in the sector, based on accepted practice. The sector includes the design and installation — in domestic, commercial and industrial buildings — of heating, ventilation, air conditioning, refrigeration, plumbing and electrical services. This qualification is intended for candidates who want to develop their knowledge, understanding and skills of the building services engineering sector of the construction industry and who are currently working in, or desire to work, in the sector. It is ideally suited for 16-18 year olds, school leavers, candidates with a NC in a related discipline who want to retrain to building services engineering. Candidates with craft qualifications wishing to transfer to technical and managerial roles. Adult returners and employees wishing to enhance their career prospects. Candidates may apply for membership of professional bodies and register with the Engineering Council UK. Candidates develop a range of transferable knowledge, including Core Skills. Entry is at the discretion of the centre. It would be beneficial if candidates had a Standard Grade in an appropriate science or technology subject(s); an NC or NPA at SCQF level 5 in a related discipline; work experience; Skills for Work Construction Crafts (SCQF level 5), or craft qualifications. 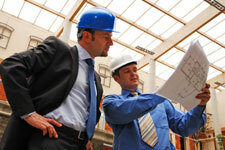 Candidates could progress to the HNC Building Services Engineering. Achievement of the HNC will enable candidates to progress to degree programmes. Candidates could also progress to a variety of SVQs at levels 2 and 3 including Heating and Ventilating, Refrigeration and Air Conditioning and these may be used as part of a Technician Modern Apprenticeship (MA) programme. Successful NC candidates may be granted access to appropriate levels of membership of professional bodies. Candidates are also eligible to apply for registration as an Engineering Technician (EngTech) with the Engineering Council UK. The NC could open up employment opportunities, as technical trainees, with contracting (installation), service/maintenance and consultancy employers. Private, local authority, military, government and academic employers are involved with the sector. Assessment for this NC is through practical work, case studies, group work and short answer questions. Achievement of this NC will give automatic certification of the Core Skill Problem Solving at SCQF level 5 and the Core Skill component ‘Using Graphical Information’ at SCQF level 5. There are opportunities for candidates to develop all Core Skills during the delivery and assessment of this NC. Details of career opportunities or routes of progression in the building services sector are available from SummitSkills (the Sector Skills Council) at: www.summitskills.org.uk.